By Karen Decker in Color Revamp, Retiring Items on April 10, 2018 . Note: When a bundle retires, the associated products may not necessarily retire. They will be in the new catalog if they are not listed in the other categories but they will not be bundled for a 10% savings. Don’t panic as I did when I saw all the ink pads that were listed. 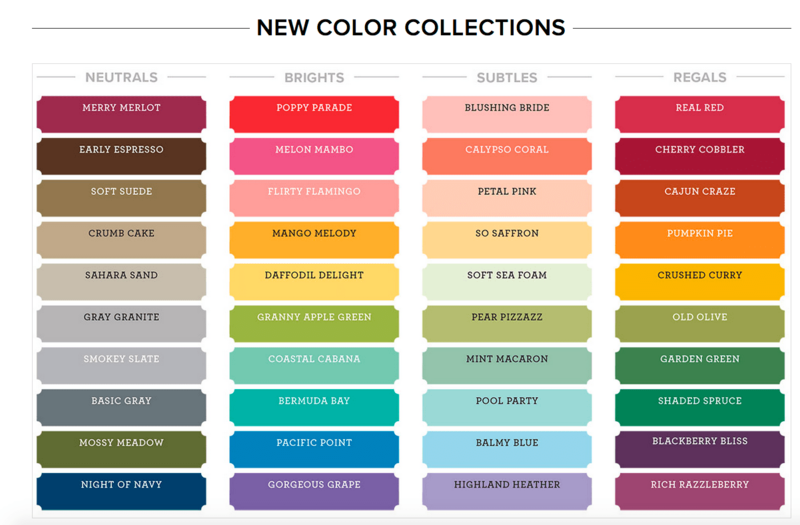 We are doing a complete color revamp that is just amazing. 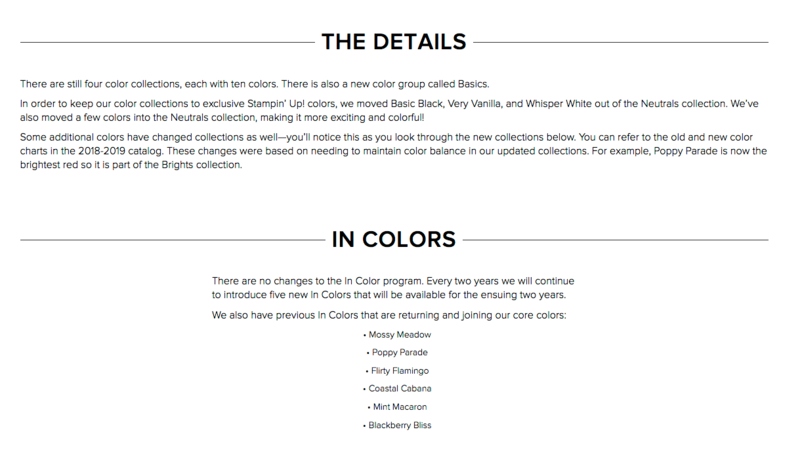 Along with new colors we will now have new ink pads with a new ink formula that won’t foam. Products are only available while supplies last so don’t wait to order. The hostess code is WAA3JYTM. Use this code if your order is under $150 and it will count toward our current club hostess. Over $150 -you receive the hostess dollars yourself. Club members, this code is good through our May 1 club and will count toward your commitment. Thank you for visiting! If you don’t have a demonstrator I would love to earn your business.